Yes, this will be my first year supported by the DRF and I am very thankful for their help for the 2014 season. I have been riding since I was about 12 starting at the local track league in Newcastle Under Lyme and I have just progressed from there. My whole family ride bikes so it was inevitable for me to do it eventually. 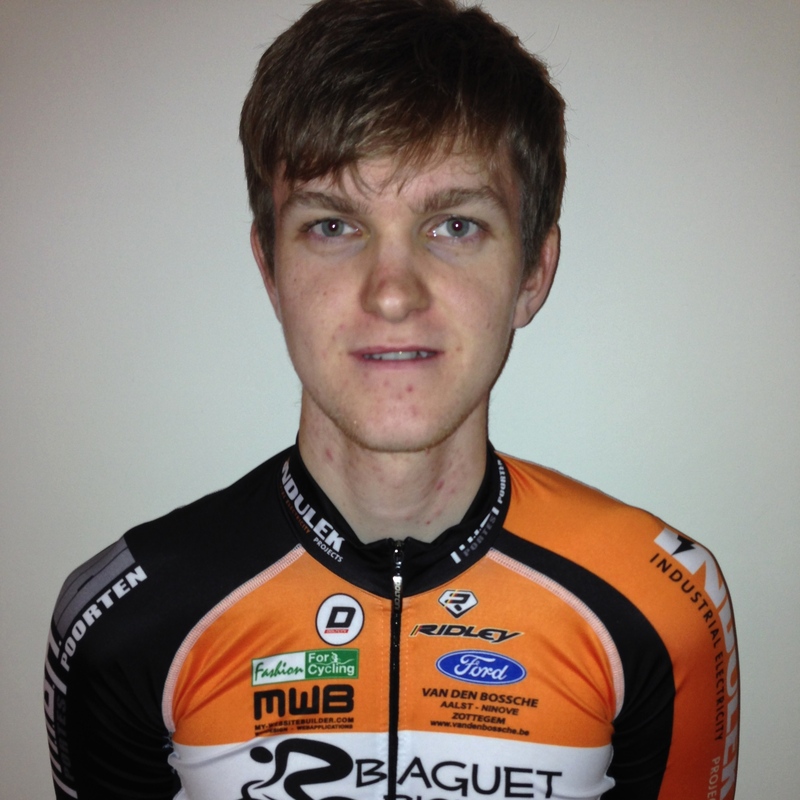 I will be joining Baguet-MIBA Poorten-Indulek a TopCompetition team. The team had some success in their first season last year which has seen more sponsors and existing sponsors apply more funding this year. This increased funding has seen us gain TopCompetition status and the introduction of more riders. One of our main sponsors is Baguet Bicycle Centre which is owned by Serge Baguet (Belgium National Champion 2005) it's pretty exciting to have someone of his status looking over the team. Just having him as part of the team gets us into big races which is pretty cool. There is talk of an ex-pro joining the team in the summer but we will have to wait and see what happens. Really good! To name a few Omloop Van Het Waasland, Kattekoers, Circuit De Wallonie, Amuetur Omloop Het Nieusbald, Tour Of Leige, Tour Of Namur and U23 Paris-Tours. And so much more including a number of stage races in France. Unfortunately not as I will be in Mallorca training. The team will be in Mojacar for a few weeks in February. I will be off at the start of March and return in October.